The Electric 3-Part Bed with 3 Motors is a must-have spa essential that was expertly crafted to ensure your client’s comfort. 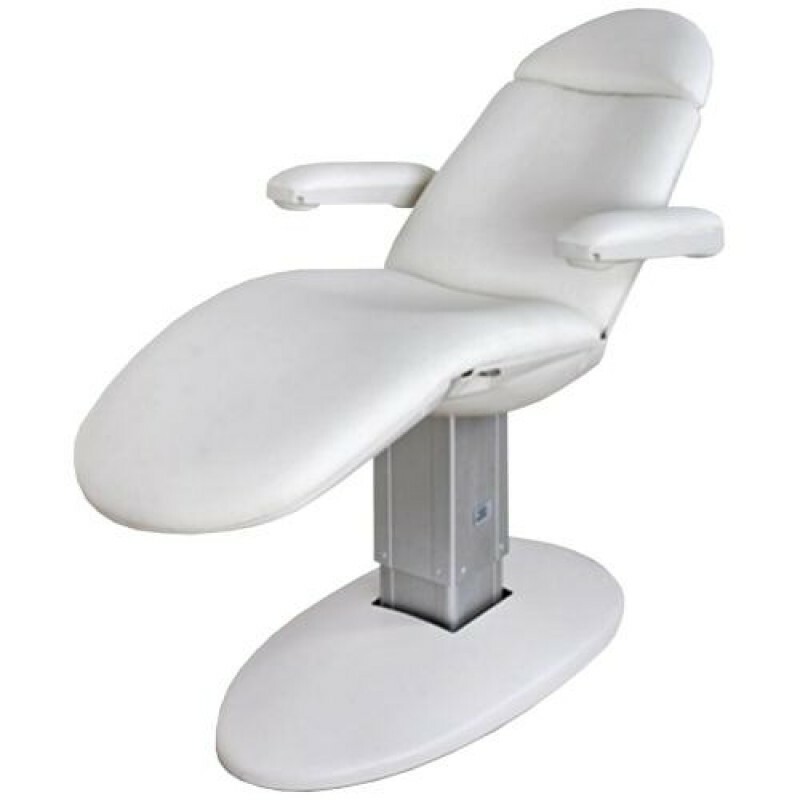 The smart design of this electric bed also keeps the esthetician in mind, since you can easily change client position with the push of buttons. The push button controls allow you to raise or lower the electric beauty bed and even adjust the reclining angle. The spa bed can also be fully reclined into a flat position perfect for lying down. The arm rests can be pushed back, and the headrest can be pulled out and extended to better suit your client. It comes in fresh-white upholstery and adds modern sophistication to any spa! Watch our YouTube video with a demonstration of how the electric bed moves!